Made from biodegradable wood pulp, our towelettes are sturdy yet soft. One towelette is big enough for both feet. 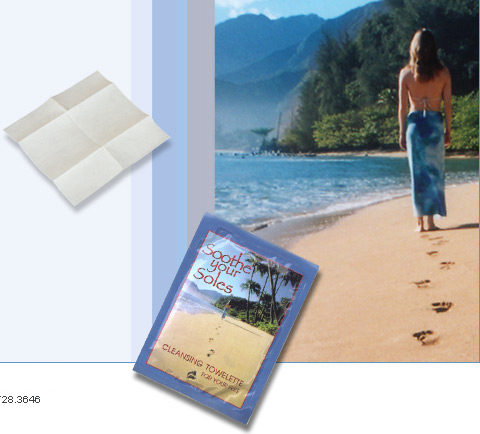 Of course, a Soothe your Soles towelette can also be used as a refreshing cleanser for your hands and body.